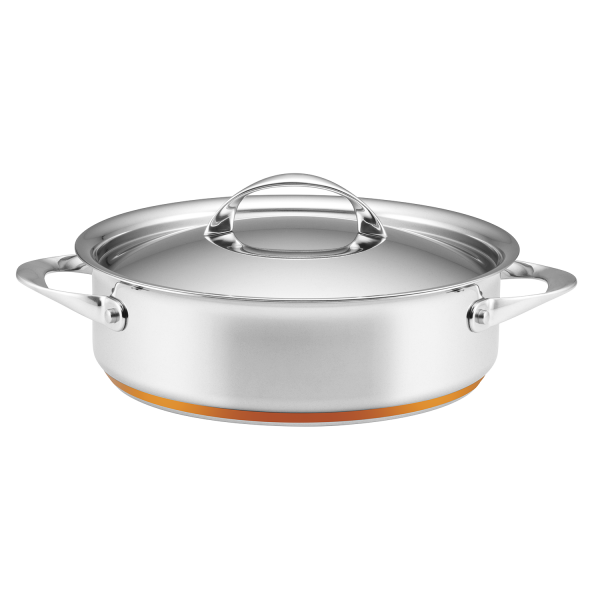 This Essteele Per Vita 24cm/3.7L Covered Sauteuse is a pleasure to cook with thanks to the solid copper that is spread across the induction suitable base, allowing heat to disperse evenly and quickly. This results in optimum heat control and perfect cooking conditions favoured by the most discerning cooks. The Per Vita collection combines Italian elegance with the finest quality engineering bringing you flawless, beautuful looking cookware that continually performs.